Biosilk Silk Therapy is a serum that is designed to protect hair while using heat. It can be used on wet or dry hair. Many Biosilk users on Folica.com say, it can be used like a leave in conditioner. "Biosilk has made my once wavy and frizzy hair, Silky and manageable". Says Amanda from California, on Folica.com. Some other users say that Silk Therapy was recommended by their stylist. Another fan says, it may seem greasy when first applied, but it's absorbed into the hair after a couple of minutes. There are a lot of people who have commented on the high price of this product. Some think its worth it, while others say it's a waste of money. Anni says, "it is a horrid product that coats and suffocates the hair." Other unbelievers think it leaves the hair greasy or in some cases even dries it out. This product does contain alcohol which can cause hair to dry out. To use correctly, Place a small amount of Silk Therapy in your palms, then apply to the tips and work up into the roots. Biosilk Silk Therapy is on sale ( the day this was written) for $10 (2.26oz) - $90 (34oz). Which is expensive compared to alot of other brands which have better results. To be honest I had never heard of this Moroccan oil until today. Now I have done my research and read a lot of reviews, I want to try it! It is a oil that is designed to restore the natural shine and softness to damaged over styled hair. Moroccan oil comes from the fruits of a Argan tree, which is found in the south west of Morocco. It thrives in dessert like conditions. Moroccan women use this oil to condition their hair and skin. To help protect it from the harsh heat conditions. Most of the reviews from Amazon and Folica.com are very enthusiastic about this oil. 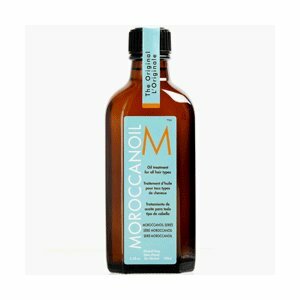 Moroccan oil lovers say how their hair looks so much shinier, smoother and in some cases, it has even helped to thicken the hair. There are some users that don't care for it. They said it leaves their hair a bit greasy and didn't spread evenly throughout their hair. So some parts were smooth and frizz free while other sections were left greasy. To get the best results from the Moroccan oil, apply a dime sized amount to your palm, rub palms together and apply to just washed towel dried hair. Starting from the tips then working it in all over. This Moroccan Oil is expensive at around $20-$40 a bottle but most users think it's worth the price. Apparently it lasts a long time because not much is needed, say some Folica.com reviews. You are currently browsing the archives for the Hair Serums/Oils category.